The Global Game: A History of football in Australia. Exhibition Catalogue. Roy Hay, with an introduction by Ruth Rentschler, Paul Turner and Pamm Kellett. 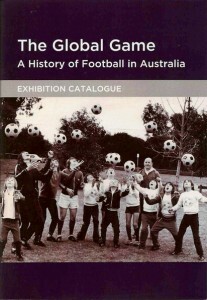 This is the catalogue to accompany the exhibition of photographs of the history of football (soccer) in Australia at the National Sports Museum at the Melbourne Cricket Ground in May to July 2010, largely based on the work of Les Shorrock, whose collection is held at Deakin University Library, Waterfront Campus, Geelong. 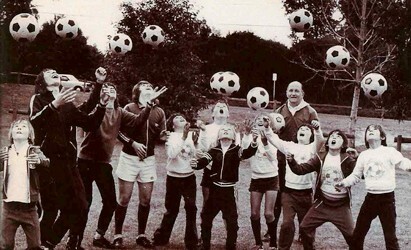 It includes a short history of the game in Australia by Roy Hay.